I have a Hyundai 40LE-FD who because of the often power outages have become defective. The problem was that the TV won’t start. There is a red LED light when you plugged in and after you press on the power button to turn it ON, the LED light become green, but the TV won’t start. 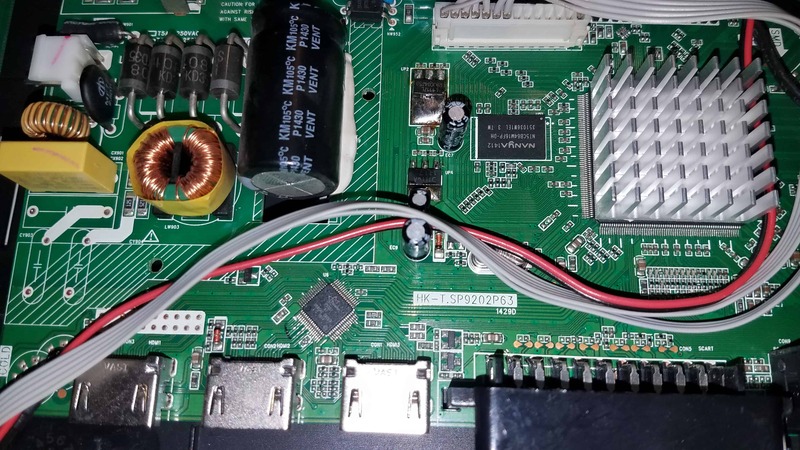 My first guess was that the problem is up to the LED backlight, as I can read on the forum, but that was not the case because there was voltage on the LED connector, but there was no voltage on the red wires on the connector 1 on the next image. At the picture, the wires on the assigned connector with number 2, comes from the connector assigned with number 1. 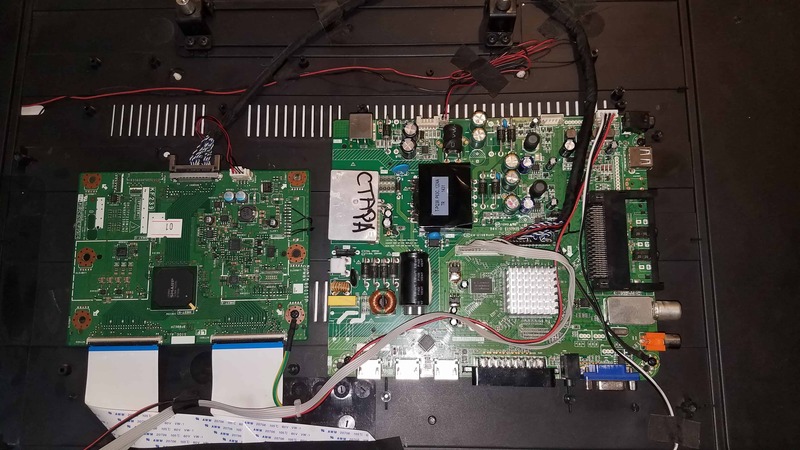 In normal conditions, when you power on the TV, you need to measure +12V on the red wires compared to the black wires (Ground). That is actually the way that the signal board get power and the TV is turning ON. In my case there was no voltage on the red wires, no power on the signal board and the TV was not turning ON. That way I realise that the problem is up to the Software (Dump File). I order new chips but cannot find the original dump file. Luckily, I find and bought the same model TV with the broken screen. 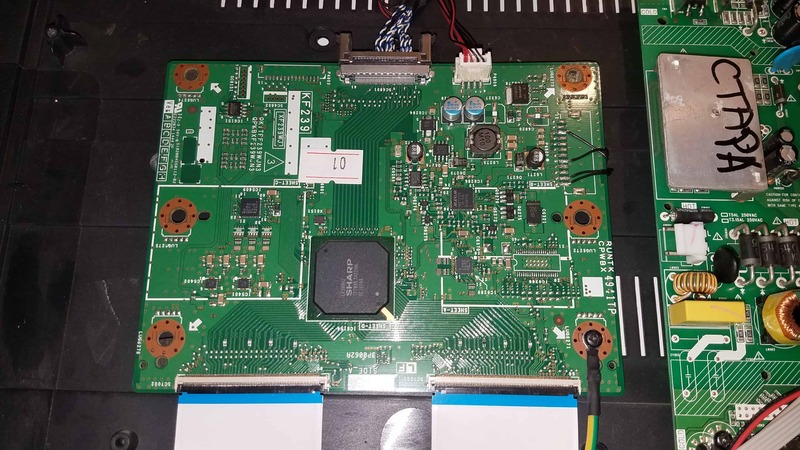 I replace the power board from the TV that I bought on my TV and it starts right away. But I didn’t stop there. I remove the chip from the working board, and with a spiflash programmer made a backup of the dump file on my pc. After that, I use that file and record it on one of the new (empty) chips that I bought before. The Model of the chip is 25Q32. 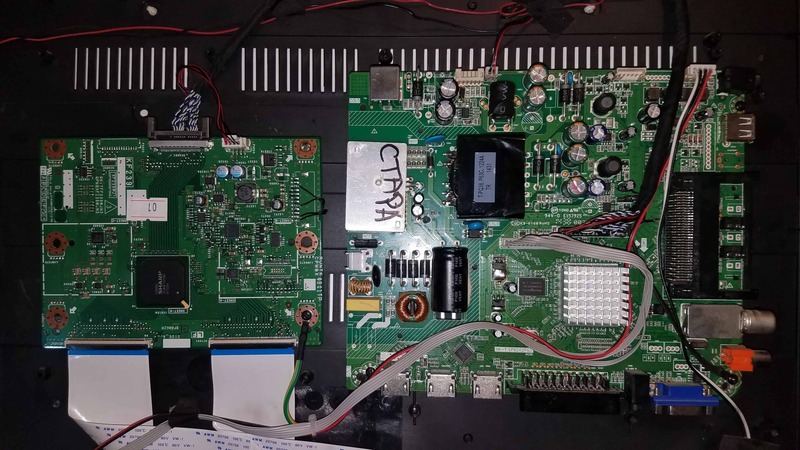 After that complete I solder the chip on my old board and the TV was working with my old power board. So here is the dump file for download. I hope that it will help someone. Here are some images in additions that may help someone. This entry was posted in Hardware, Maintenance and tagged Hardware, Maintenance by Tome Trajkov. Bookmark the permalink.